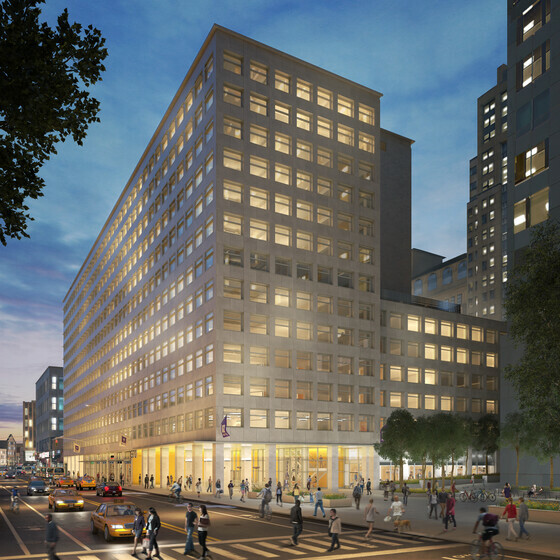 The development of 370 Jay Street transforms an existing office building into a healthy and collaborative academic and research center for NYU’s Center for Urban Science and Progress (CUSP) and other NYU departments. 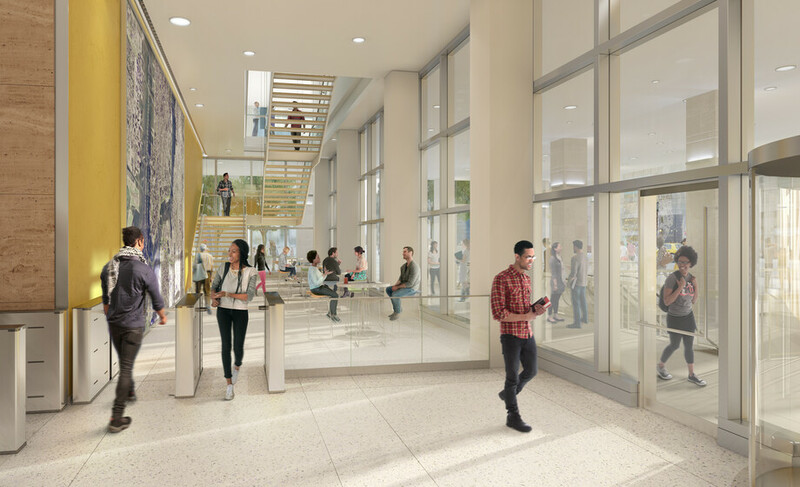 Located in Downtown Brooklyn, the CUSP building will serve as the University’s innovative urban research center, helping cities around the world be more productive, equitable, and resilient. As the University’s first project outside its Manhattan campus, the building fits into the fabric of the neighborhood, providing programs that benefit the surrounding community. 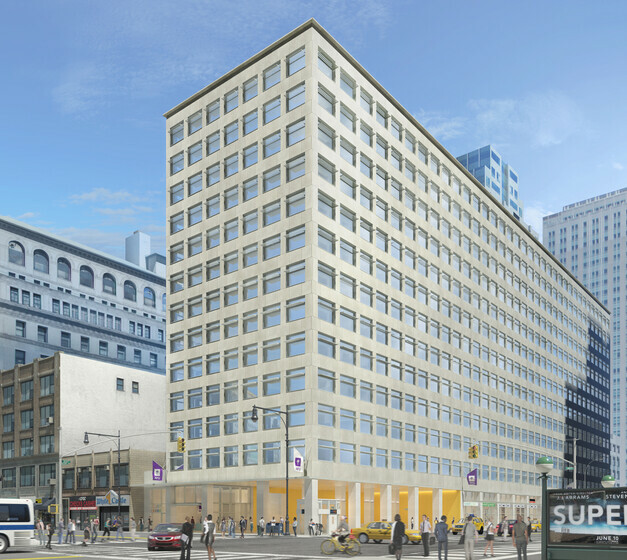 Centered around NYU’s science, technology, and education programs, the building will provide a healthy indoor working environment for occupants by optimizing daylight and views, providing occupant controls, and selecting sustainable finishes. Atelier Ten collaborated with the team to update the existing building envelope into a modern, high-performance façade that optimizes energy performance and brings useful daylight into the interior. 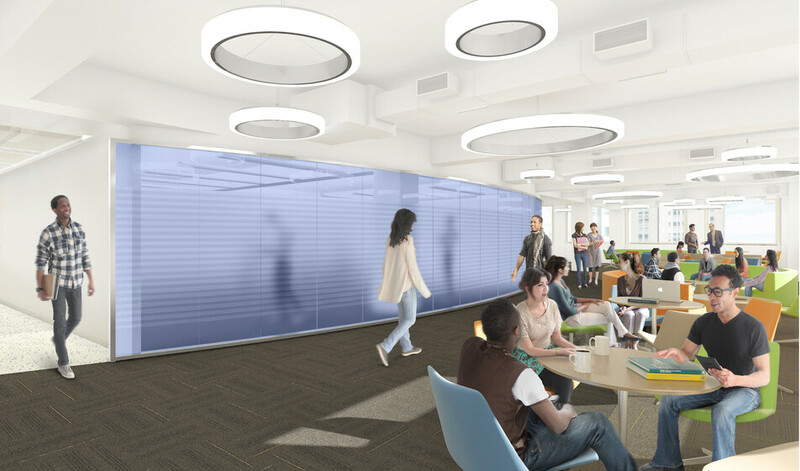 the shading corresponds to solar access and reduces the risk of glare to create visually comfortable workspaces. 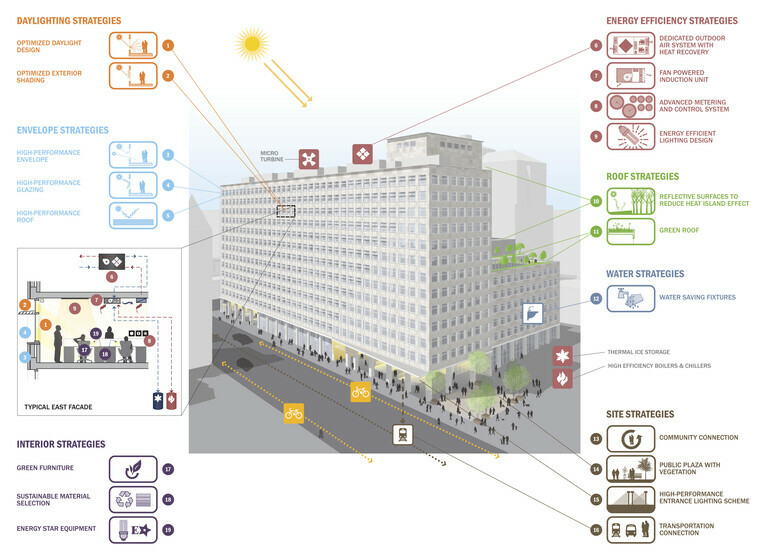 Atelier Ten also developed and ran the energy and incentives analysis to assess a combination of strategies. The Proposed Design with the inclusion of a micro-turbine for on-site power generation and thermal energy storage to reduce peak energy utility demands achieves a nearly 50% estimated energy cost savings.